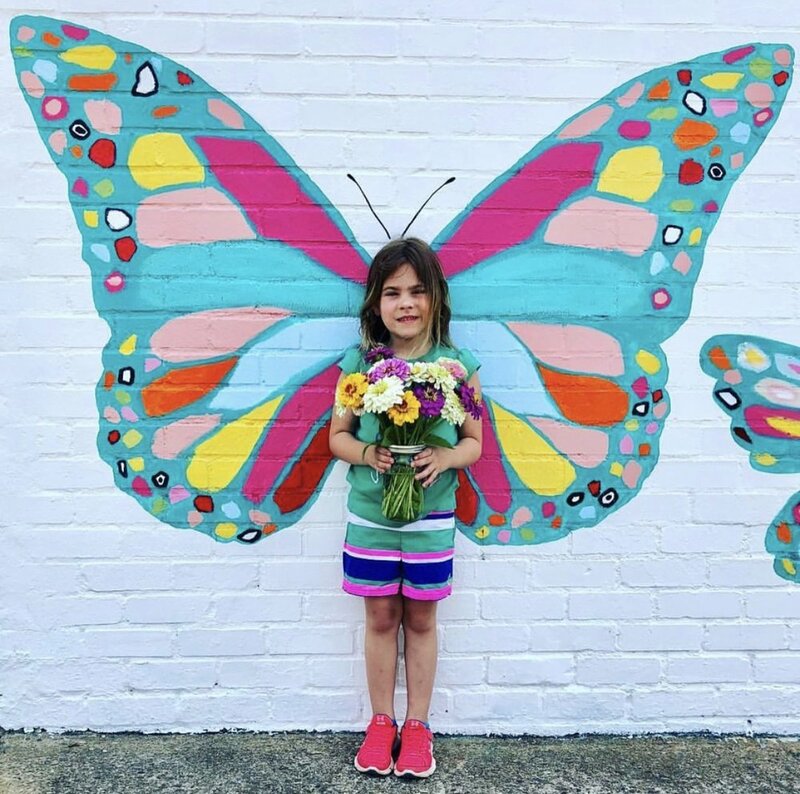 This June I decided to head back to my hometown of Fort Mill, South Carolina, and paint over the current mural I had created a few years ago. It was time for a fresh, new look. The mural wall belongs to Crossings On Main, a precious gift shop owned by dear friends of mine, Cathie and Chip Smith. The interactive mural took 4 full days to scrape, prep and repaint, and was truly a labor of love. Thankful for all the help from my angel assistant Leslie — could not have done this without her. So Charlotte-area friends, make the short trip south to Fort Mill and when you visit, please snap photos and share on your social media using the hashtag #welovefortmill. Tag @carolinesimas and @crossingsonmain too so we can see your posts. Below are a few of our favorites! Crossings on Main is at 102 Academy Street, Fort Mill, SC 29715. I hope and pray this spot will bring joy and blessings to the community and people who helped raise me. Scripture Candles Now Online at LifeWay!